The November The Holo Hookup Box is available NOW!! Available NOW!!! The Holo Hookup Box is hooking you up this month with 4 new AMAZING holos! This month's theme is Galaxy! 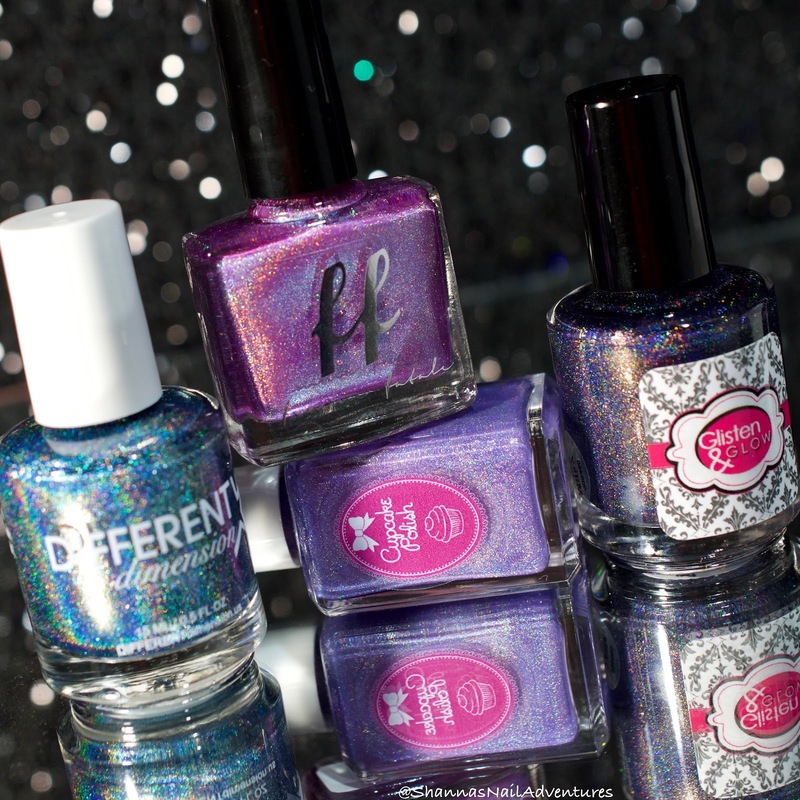 These 4 exclusive holos are created just for you by Cupcake Polish, Glisten & Glow, and Different Dimension and our guest Femme Fetale Cosmetics. The Cupcake Polish featured in this month is called Milky Way and you do NOT want to miss out on this beauty! Milky Way is a a creamy periwinkle linear holographic polish. This polish is one of my personal new favorites and I know you will love it too! This box is ONLY available until October 28th at 9pm est so get it NOW before time runs out! These boxes will ship by November 12th.